Top off your winter sports gear with a fresh pair of Spy Goggle lenses. Sporting a sleek design, the Scoop goggles feature polycarbonate lenses to give you 100-percent UV protection. Strategically placed ventilation slots ensure a fog-free day on the slopes. 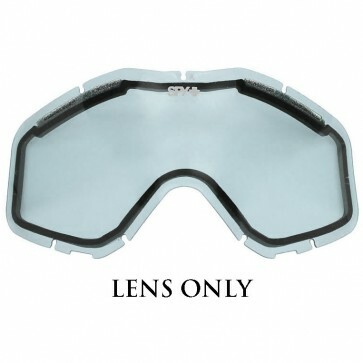 Fits Spy Zed, Klutch, Whip, and Targa 3 SNOWX Series Goggles.